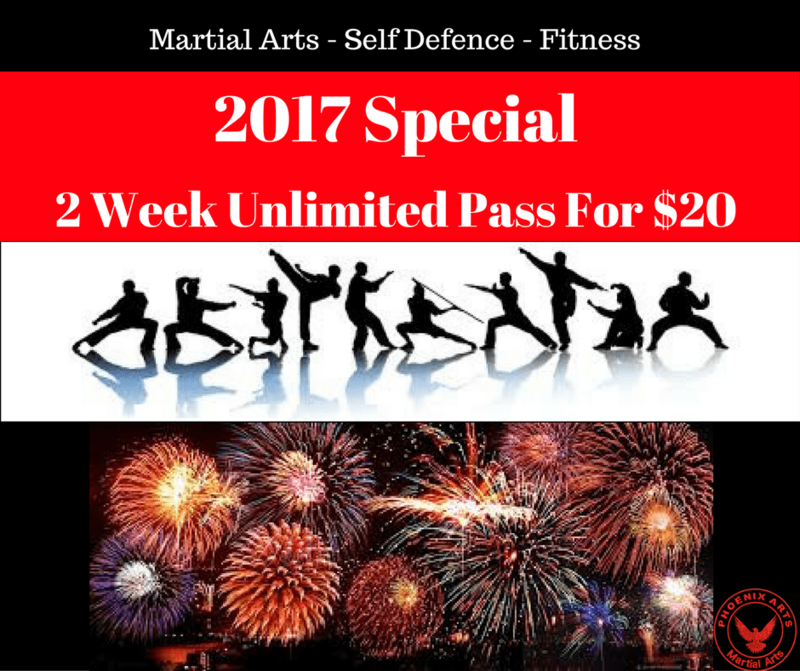 2 week unlimited class entry to our martial arts, self-defence and fitness programmes. Adult and children classes available. Martial Arts Classes at Phoenix Arts Martial Arts teaches discipline, confidence, fitness and self-defense. There is no messing around in class. These classes are structured, disciplined and conducted in an inclusive environment conducive to learning. Our 2 Week Unlimited class trial is a perfect way to give Martial Arts a try for you and your family. Grab your trial while it's still available and we'll set you up with a time to come in for the first intro lesson. Click on the link below to learn more or to claim your limited time offer of 2 weeks unlimited classes.